It is important for luxury real estate marketing professionals to follow the luxury trends outside of real estate. The more you tap into the mindset of potential high net worth clients the greater your chances are to gain their trust and their business. For example, researchers specializing in the world of cosmetics are finding that the luxury beauty product industry has grown at an annual rate of 6% since 2004. Trade publication, Global Cosmetics Industry, cites that beauty products generate approximately $230 billion in global sales. An emerging trend among consumers is that they are growing more knowledgeable about ingredients and are favoring natural-based products. The women in emerging luxury markets in Asia, the Middle East, and Russia are now sold on skin care and makeup, and have become savvy, eager consumers. The house of Guerlain, a premium perfume and beauty brand had embarked on developing a new brand of skin care to meet the needs of an aging population. By researching orchid plants, that take an inordinately long time to fade after they bloom, they came up with a proven anti-aging formula. To facilitate their research they built an “orchidarium” (a French term) to study 30,000 species of orchids. After “Ten years of research within the Guerlain orchidarium, three new orchids selected among 30,000, revealed the secret of extraordinary longevity”. 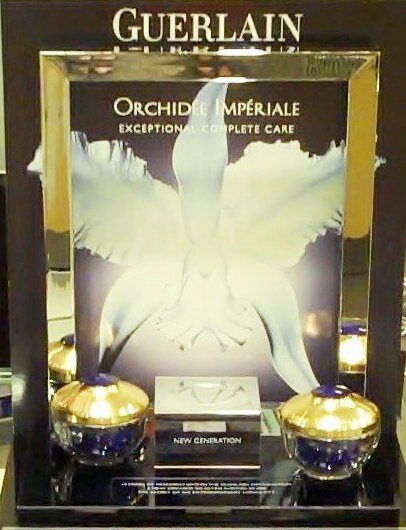 According to their research, Guerlain’s new orchid extract has the power to turn back “cellular” time. The initial tests by a reputed dermatologist, showed a 54+% in skin improvement in two months based on rigorous standards, and the research continues. Following trends in other luxury industries, such as the luxury cosmetic industry, can not only yield insights into the mindset of high net worth consumers, but also offer you social currency to engage in meaningful conversation. Holding your own in social situations in this way builds trust and your bottom line.